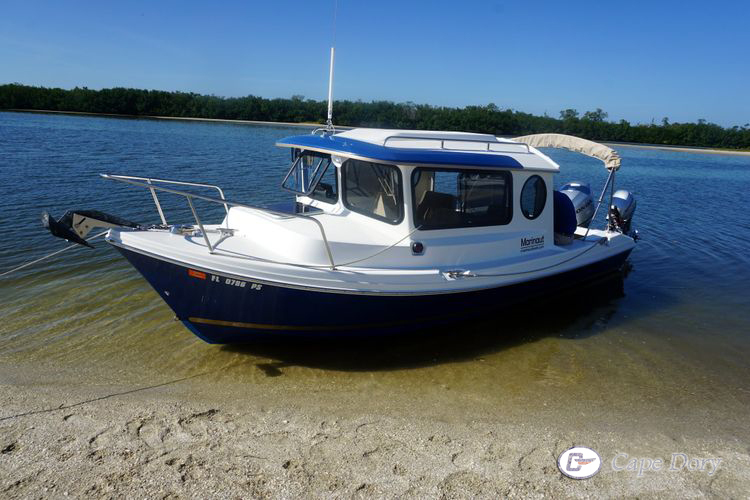 Is a 22 ft. “Pocket Yacht” in the guise of a trailerable cruiser. 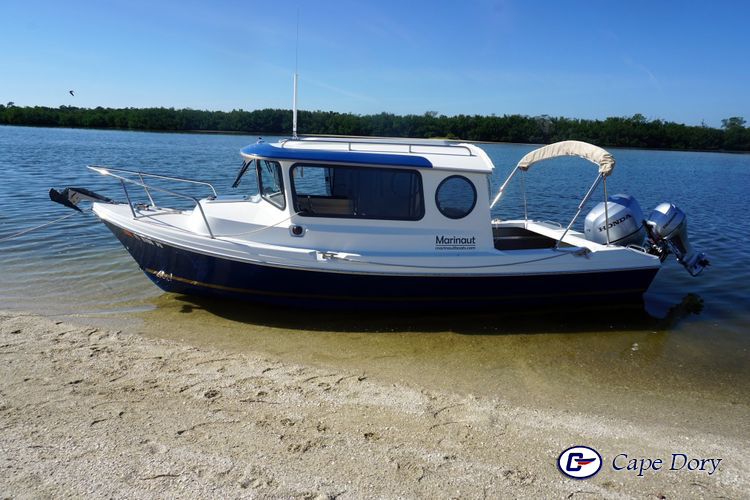 Powered by a fuel efficient Four Stroke Outboard, the Cape Dory Marinaut 220 has an aft deck that is a great place to relax end enjoy the scenery. 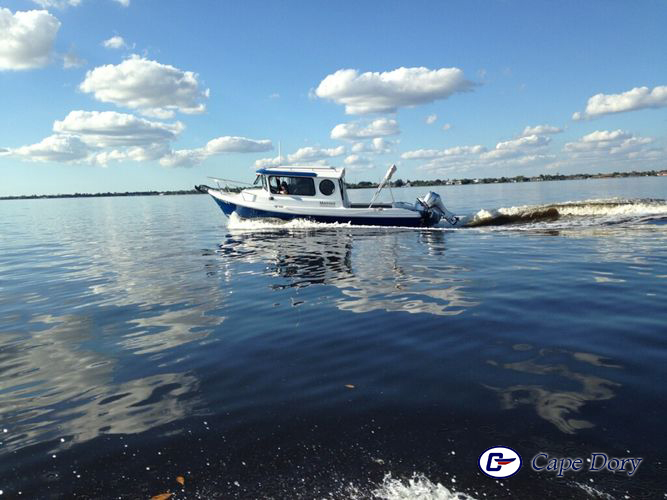 Contact us today and your new Cape Dory Cruiser will have you cruising new waters in no time. 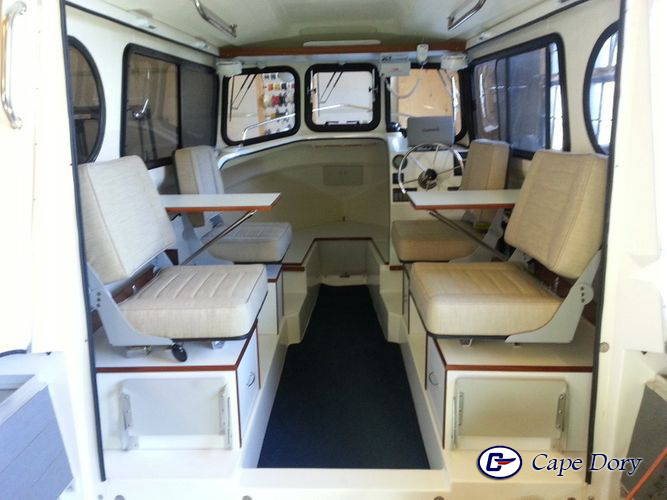 The Cape Dory Marinaut 220 is offered in a variety of optional interiors and exterior models. 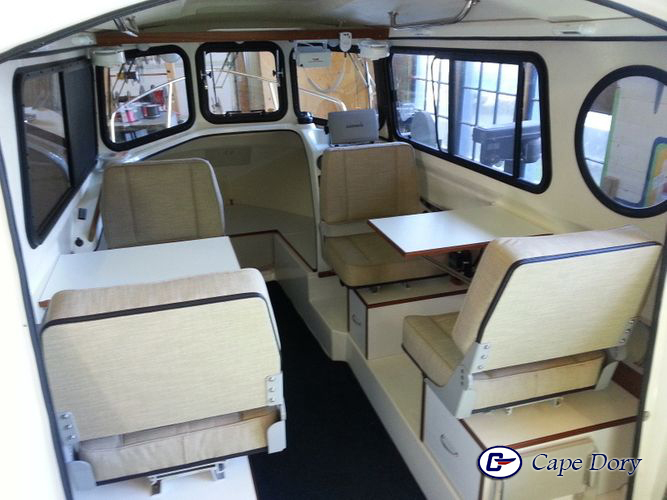 All Cape Dory Marinaut 220 models include a V-berth and sleeping quarters for two with Interior options that may include a galley with one burner stove. 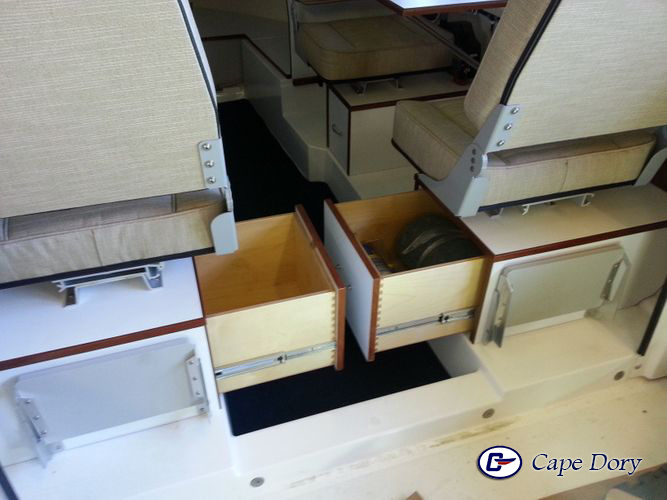 Alternate interiors allow for added seating for four or just a helm and passenger seat to allow for more fishing or storage room in the aft section. 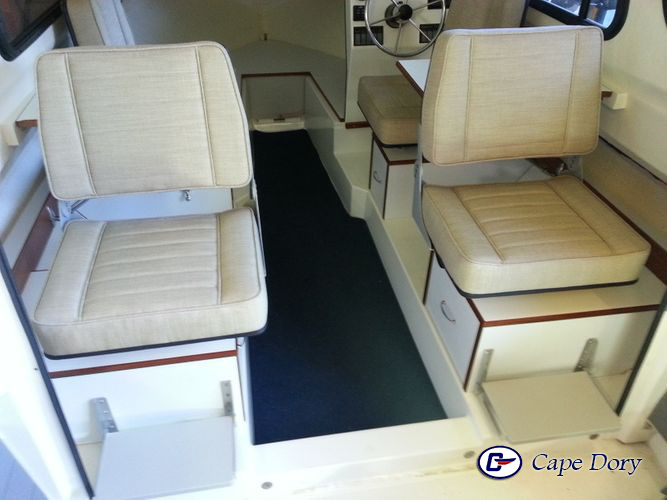 The rear bulkhead may also be purchased as an option to allow for an Open Back Full Walk Through Cruiser and allow the ability to “fish the entire boat”. 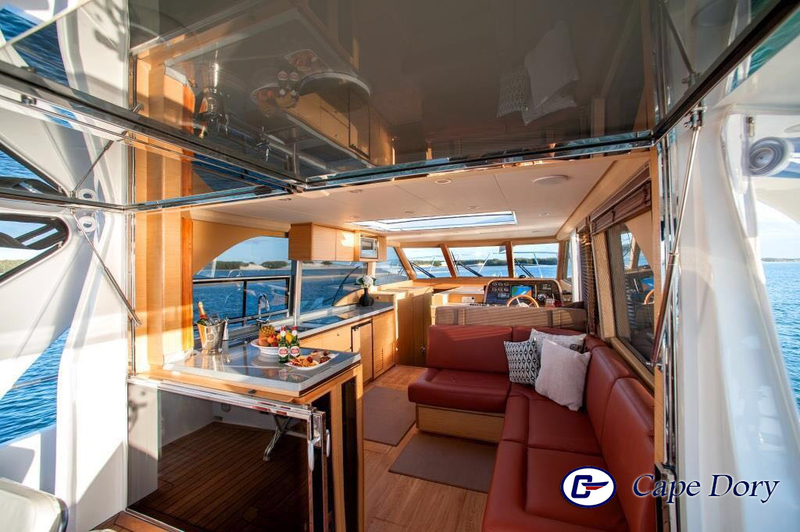 This also provides a shaded area in hot climates such as Florida and the SE along with protection from the elements when storms suddenly occur or in the colder Northern climates. 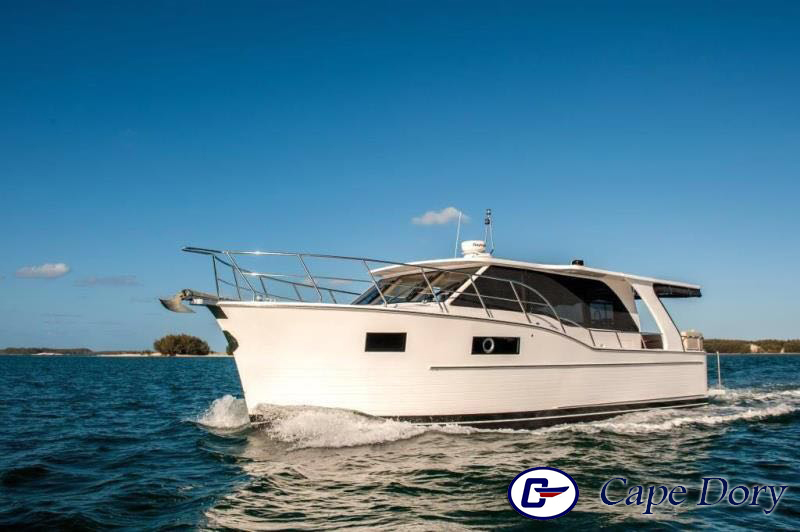 To extend the cruising season and protect you from the sun and foul weather the Cape Dory Marianaut 220 and all Trailerable Cruisers can be fitted with an optional aft deck canvas bimini or Full Camper Canvas. 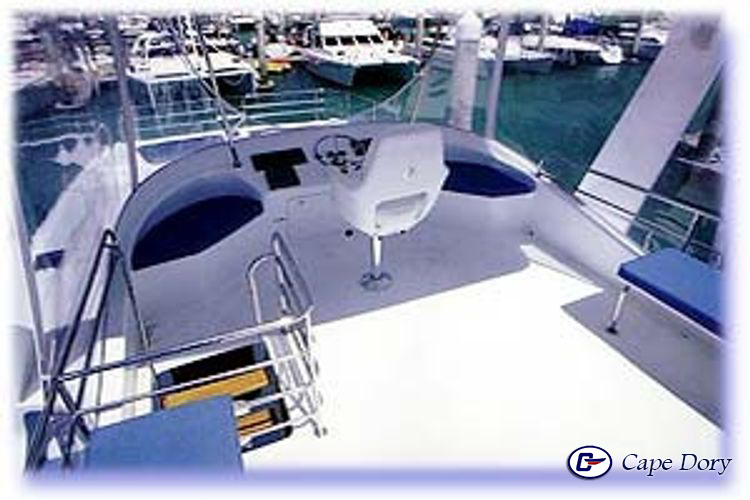 Provide a choice of several models of 25 ft. Cruisers as either a Center Console, Open Express or Dual Console model. 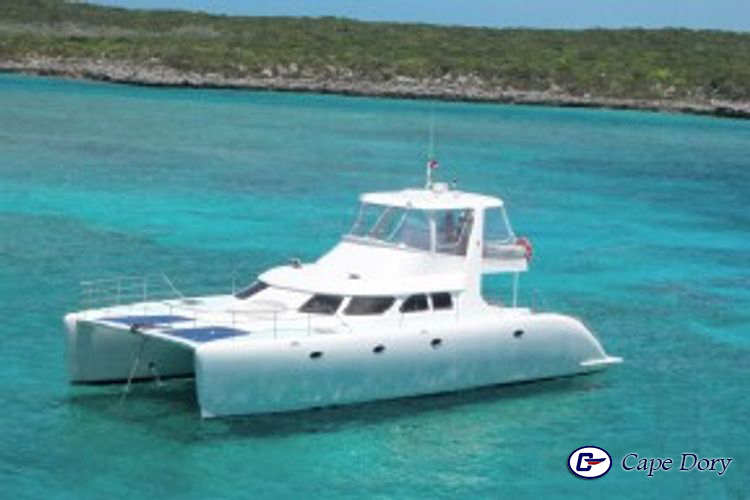 All Cape Dory 25 ft. Cruisers offer the same quality construction and materials used in the Marinaut 220 and all Cape Dory Cruisers. 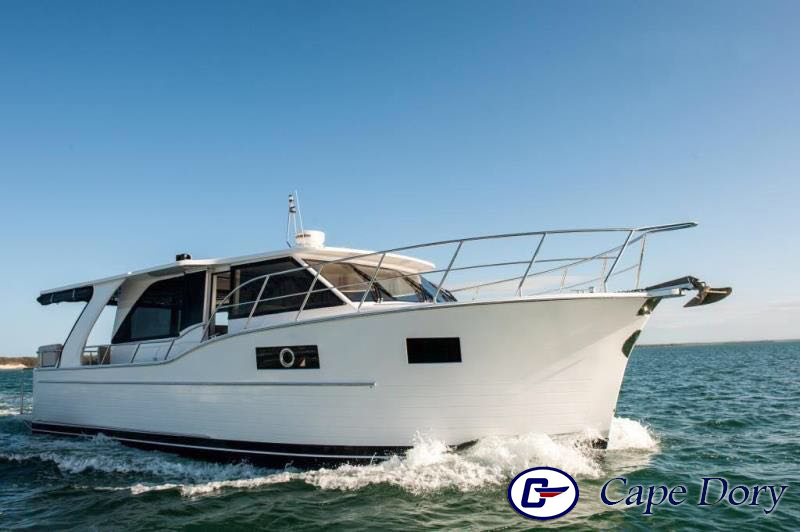 The ECOCRUISER 33 ft. and 36 ft. Yachts by Cape Dory™ are an exceptional innovation in propulsion, fuel efficiency and comfort. 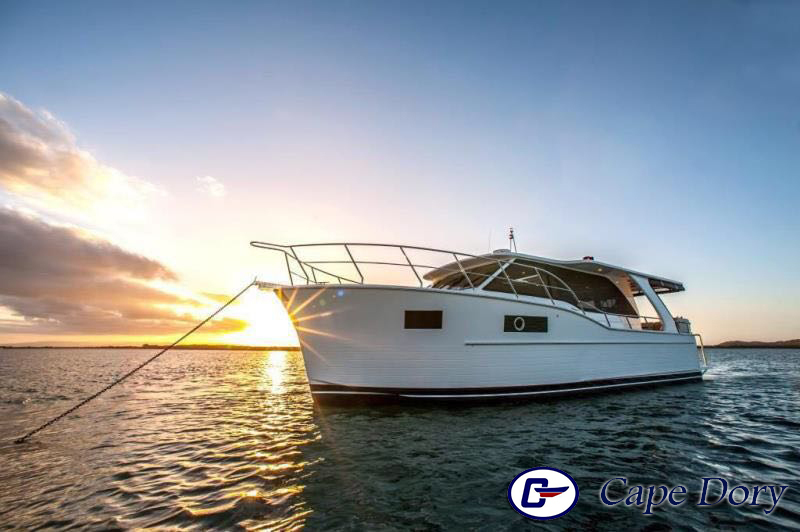 Like all Cape Dory Cruisers the yachts are seaworth vessels capable of taking you and your family to the far reaches of the globe. 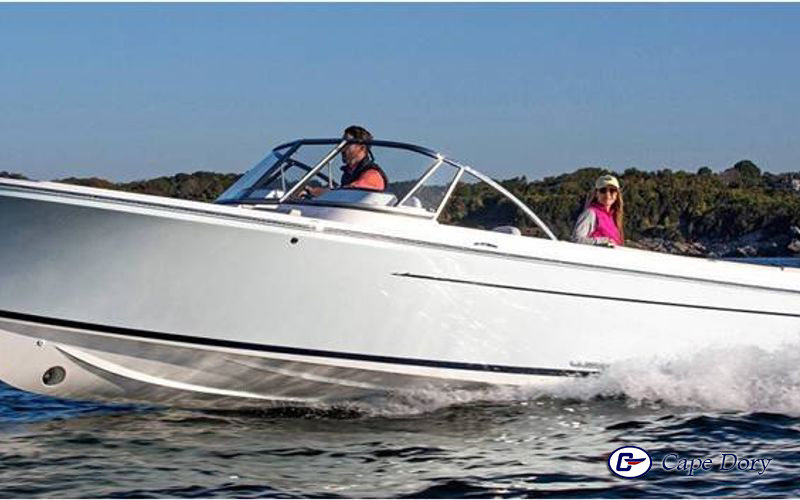 The proven “Down East” designs and engineering are built “to get you out there and back quickly and safely”. 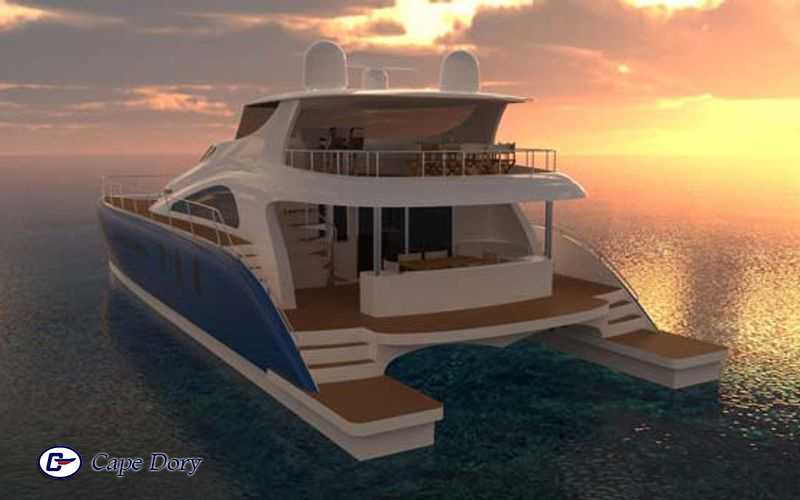 Cape Dory Cruising Yachts are in the process of many new developments and custom features that will included outboard, twin or single engin diesels. 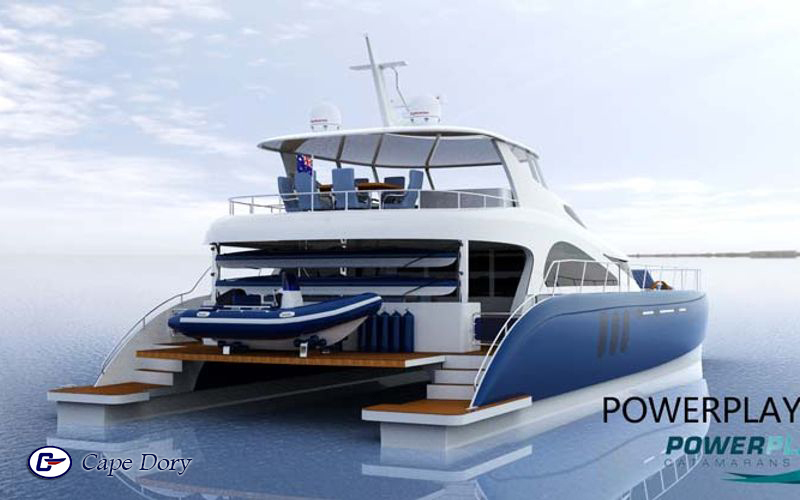 The range of Cape Dory Cruisers will be exceptional and will include optional electric drive motors, allowing the engine to idle-load as electric generators, adding range and reducing your carbon footprint. 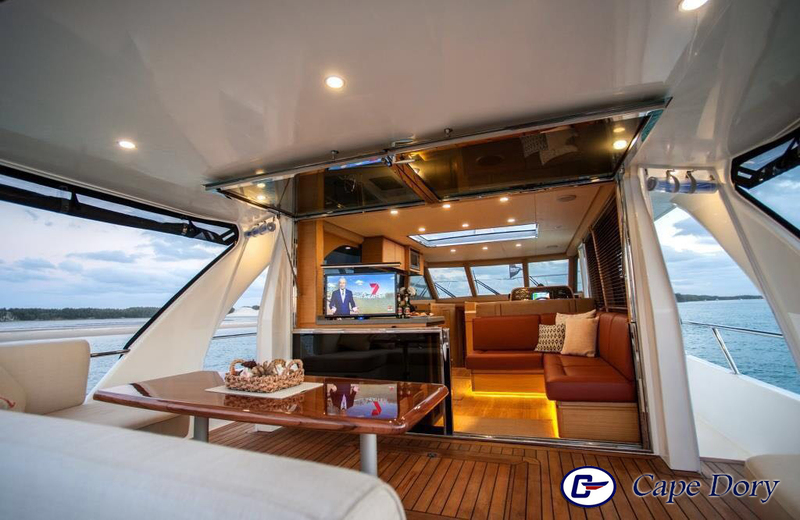 We are adding energy saving glass and carbon fiber construction. 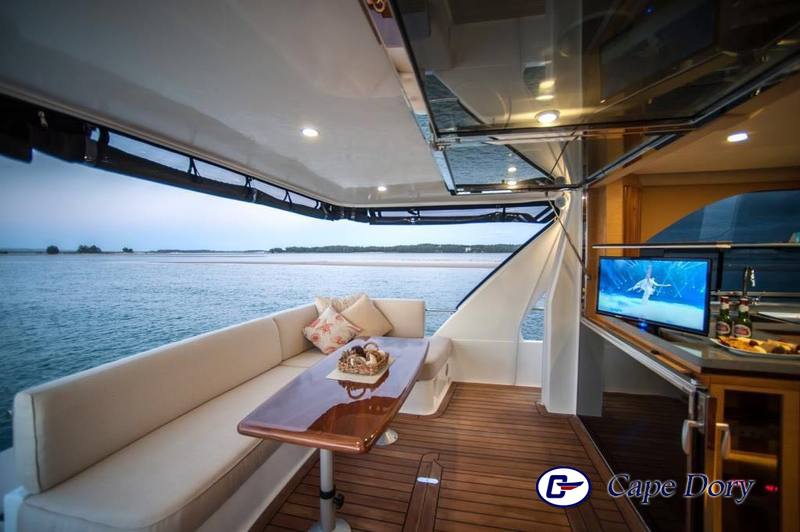 This is a Cape Dory after all and you can expect a yacht in every sense of the word with interiors and exteriors designed by award winning yacht and boat designers. 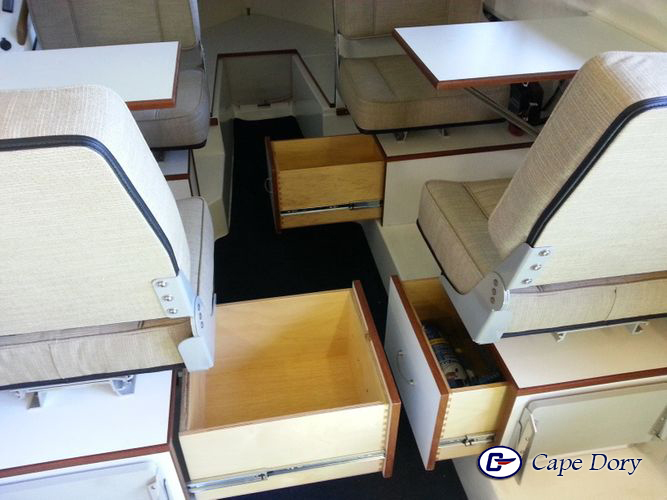 are a new and exciting extension of the Cape Dory brand and product offering. 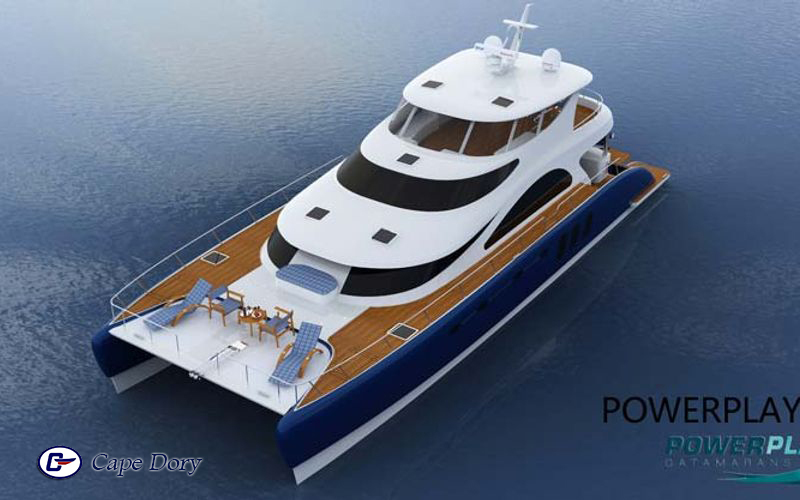 In conjunction with Power Play Catamarans Cape Dory is developing and offering a complete range of power catamarans ranging in size from 42 ft. to 75 ft. 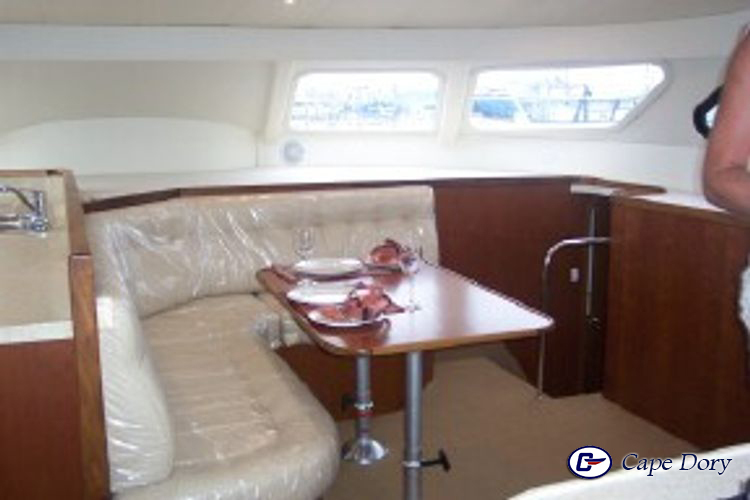 Sailing Catamarans can also be provided on a custom design basis. 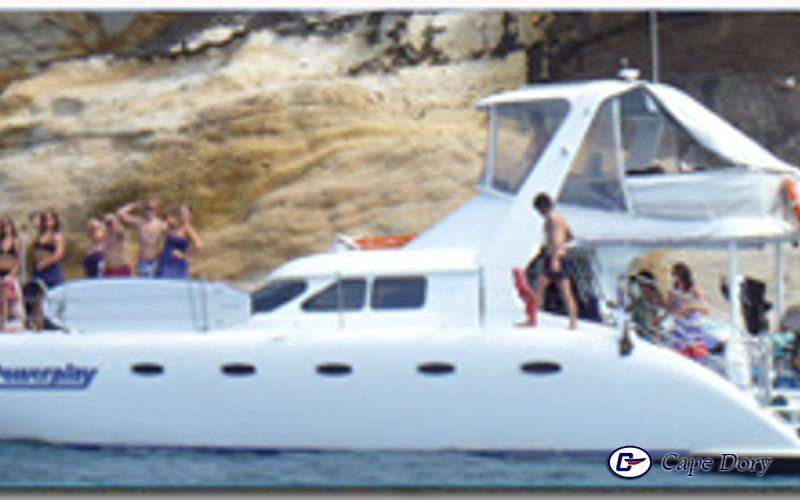 The Power Play Catamarans are a proven series of world recognized yachts over the past 30 years. 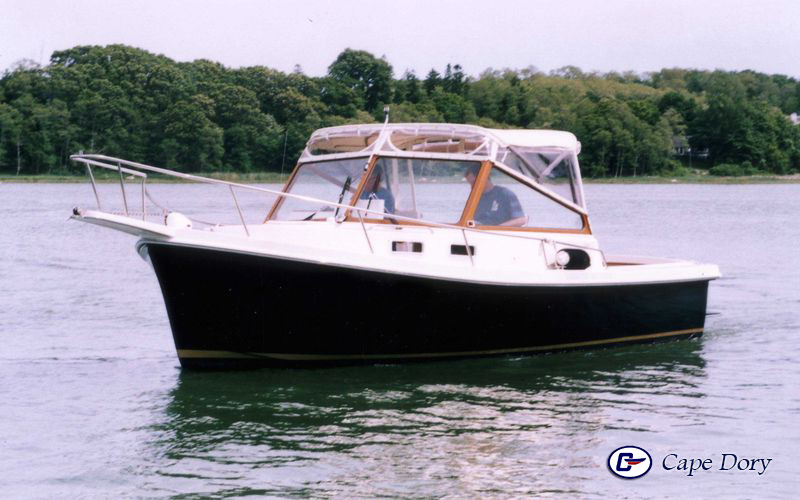 Cape Dory has made some pretty fine sailboats since it began in 1962. 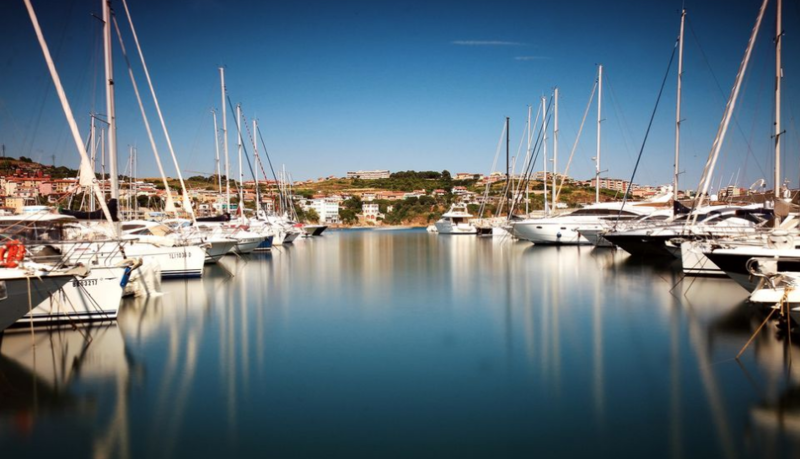 Over 2,500 in fact. 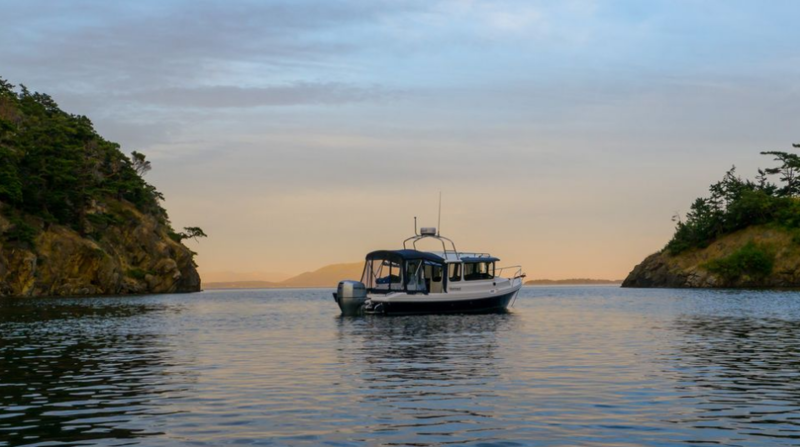 Some were large, some were small, but all were romantic ladies of the sea.-“To The Core”. 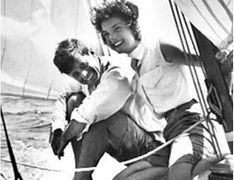 Many sailors today are looking for that romance of the sea that we once shared. 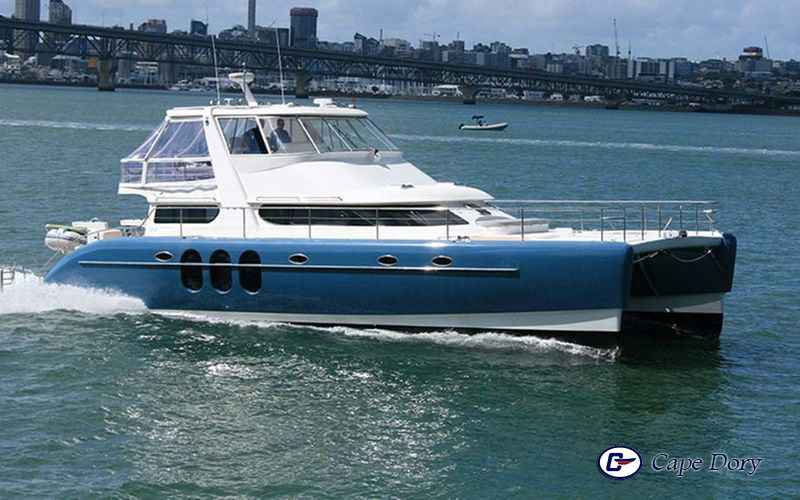 That romance that carbon spars, powered winches and beeping electronics just cannot convey. 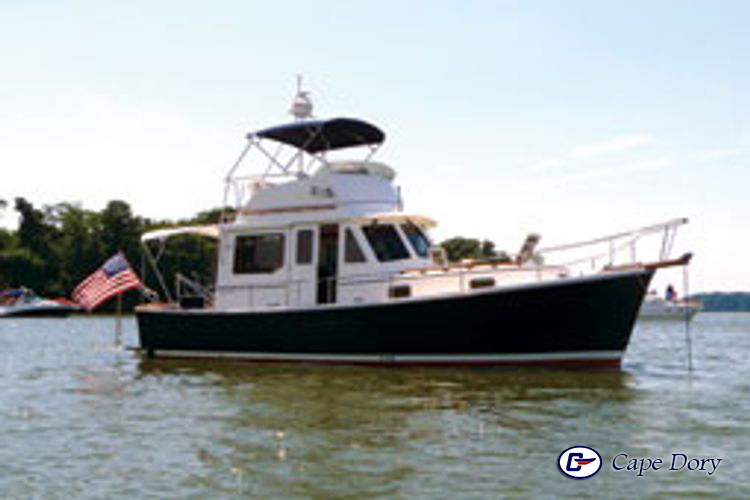 Just like a Cape Dory Sailboat, simple, safe, comfortable and fast. 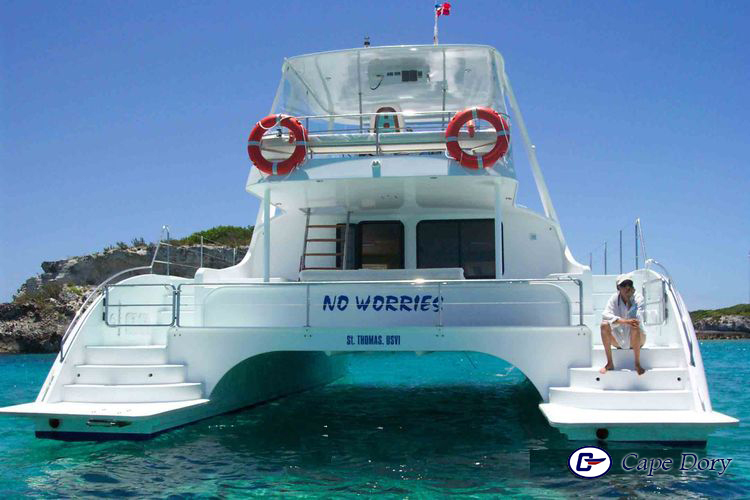 Enough to get there and slow enough to enjoy the ride. 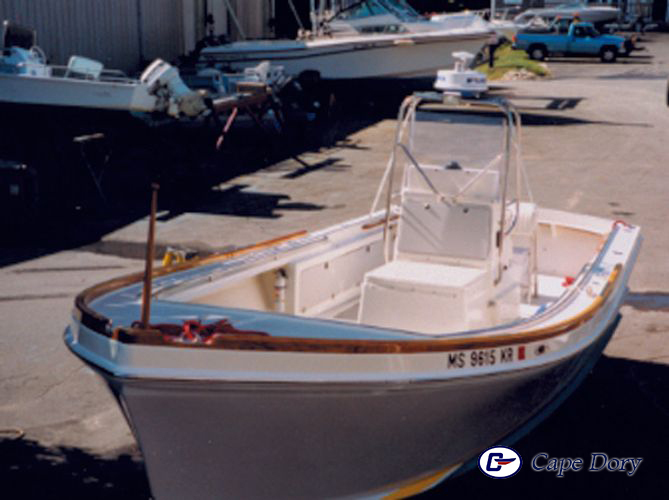 While not currently in production you can expect to see the all new Cape Dory Sailboat series in the future completing the heritage, pedigree and authenticity of the iconic Cape Dory Brand. 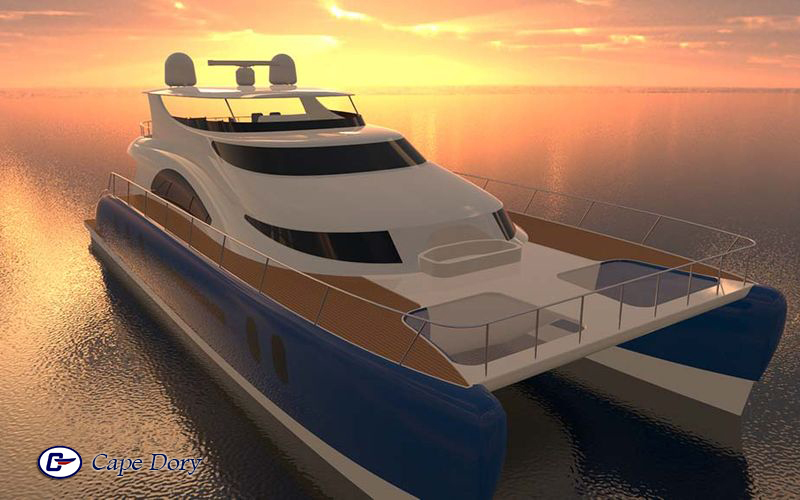 Cape Dory Cruisers & Catamarans will be marketed through a select dealer and broker network throughout North America and Internationally as well. 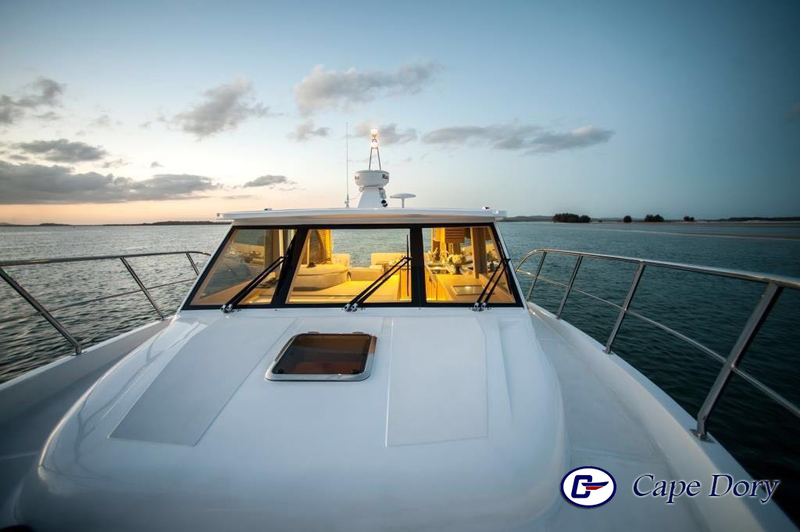 All boats and yachts will be allocated on a limited market basis and available through dealers as they are established and inventory becomes available. 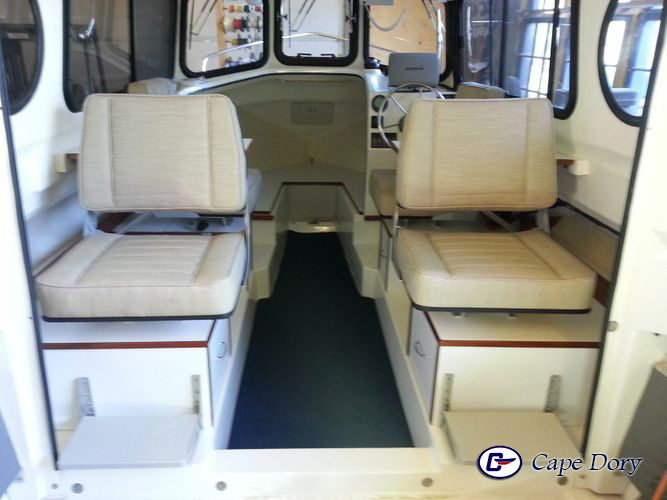 Please contact the Cape Dory factory with regard to any interest in purchasing a Cape Dory Cruiser or Catamaran or becoming established as a Cape Dory Cruiser or Catamaran Dealer or broker.